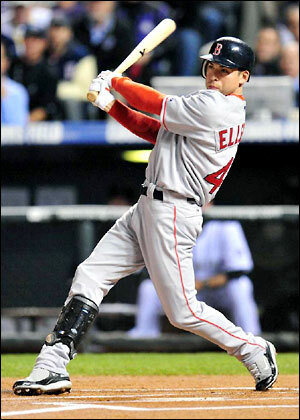 Ellsbury played at a AL MVP Caliber clip in the 2011 – if Boston wants any chance to compete this season, they will need for him to play like he has in this 1st half. While his power has eluded him (1 HR only) – he has Stolen 32 Bases, has hit .293 – and scored 49 Runs in 73 GP. The biggest decision to be made will be to whether or not the franchise will re-sign their CF – or go with a younger player in Jackie Bradley JR? 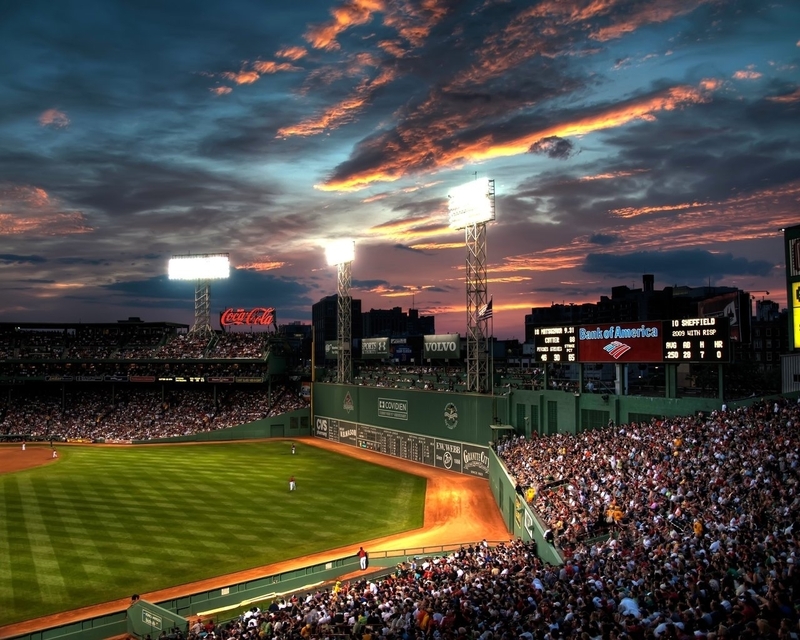 The Boston Red Sox began the 2012 year in financial salary hell with Carl Crawford, Josh Beckett and Adrian Gonzalez on the books for 3 – 6 years time in contract length. In one fell swoop they traded all of them to the Los Angeles Dodgers – they freed up the ability to re – stock themselves with new players. 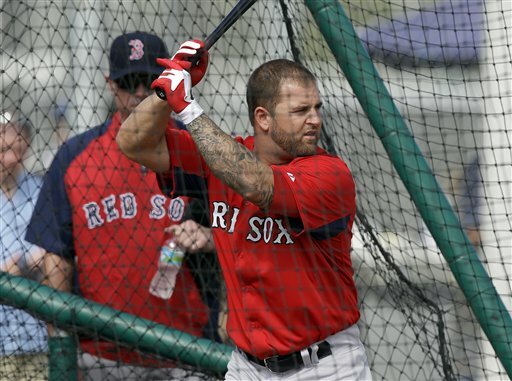 They signed Mike Napoli, Jonny Gomes and Shane Victorino to contracts – and changed the culture of the clubhouse. The team also brought back John Farrell to coach the team. At the halfway mark of this season tonight at 47 – 33 + tonight’s eventual result with the Blue Jays, and the team is back in 1st place in the vaunted AL East. Will they have enough steam to hold off the competitive clubs of the Division? 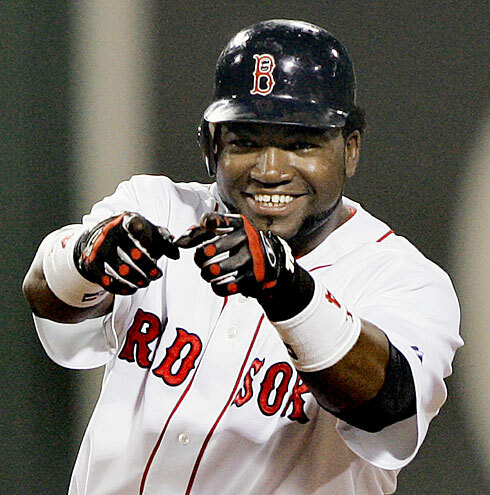 How many more years will they be able to count on David Ortiz as a premiere slugger from the DH position? David Ortiz has been crushing the ball at an all time rate since rejoining the club just right after the Boston Marathon Tragedy. In just 61 Games Played this season – he has a 3 Slash Line of .319/.405/1.025 – with 16 HRs and 57 RBI. He is still the premiere DH in the AL – and could go along way in Boston making a return to the playoffs in 2013. The 37 Year Old signed a 2 YR/$26 MIL deal before this year that ends in 2014. 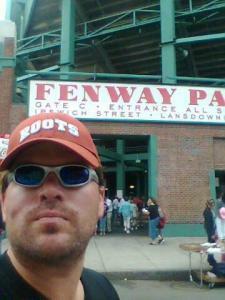 Mike Napoli originally had signed a 3 YR/$39 MIL deal that was identical to the Shane Victorino deal for length and year. After failing a physical however, the team only to pay him a 1 YR deal worth $5 MIL. That means the big 1B/DH/C will hit the FA market again this upcoming winter. Napoli has a 3 Slash Line of .264/.344/.791 – with 9 HRs and 53 RBI in 273 AB so far in 2013. Napoli is looking for this 6th consecutive 20+ HR campaign. While potentially also driving in 100 RBI – he could likely command another contract offer similar to the 3 Year deal the man from Hollywood , FL agreed to before Boston learned of some nagging injuries. Posted on June 27, 2013, in The Rest: Everything Baseball and tagged (CAR), (EAS), (INT), (NYP), 1b Anthony Ranaudo, 1b Jose Iglesias, 1b Ryan Kalish, 2013 Baseball America's Top Ten Prospects, 3b 2010 Baseball America's Top Ten Prospects, 3b Bryce Brentz, 3b Matt Barnes, 3b Xander Bogaerts, @chuckbooth3024 on twitter, Aaron Kurcz, Alberto Rosario, Alex Hassan, Alex Ochoa, alex wilson, alfredo aceves, allen webster, andrew bailey, andrew miller, Aneury Tavarez, Anthony Carter, anthony ranaudo, Austin Maddox, ben cherington, Billy McMillon, blake swihart, Bob Kipper, Boss Moanaroa, Boston Red Sox PITCHERS, Boston Red Sox POSITION PLAYERS, Braden Kapteyn, Brandon Jacobs, Brandon Snyder, Brandon Workman, Brian Johnson, brock holt, Brock Huntzinger, Bruce Crabbe, Bryan Johns, Bryce Brentz, c Anthony Ranaudo, c Garin Cecchini, c Jackie Bradley, Carlos Febles, Carson Blair, casey kelly, Chris Balcom-Miller, Chris Hernandez, Chris Martin, Christian Vazquez, Christopher Carpenter, Chuck Booth. fastest 30 ballgames, clay buchholz, clayton mortensen, Cody Koback, Cody Kukuk, craig breslow, Dan Burke, daniel bard, Daniel Butler, daniel nava, Dave Joppie, David Chester, david ortiz, David Renfroe, david ross, Derrik Gibson, deven marrero, Drake Britton, Dreily Guerrero, Drew Sutton, Drew Turocy, dustin pedroia, Felix Doubront, Felix Sanchez, Francellis Montas, Francisco Taveras, Franklin Morales, Garin Cecchini, Gary DiSarcina, Gary Tuck, Geoff Iacuessa, graham godfrey, Greenville Drive (SAL) Craig Brown, Greenville Drive PITCHERS, Greenville Drive POSITION PLAYERS, greg colbrunn, Gregory Larson, Heiker Meneses, Henry Owens, Henry Ramos, Heri Quevedo, J.T. Watkins, jackie bradley, Jacob Dahlstrand, jacoby ellsbury, Jadd Schmeltzer, Jake Davies, jarrod saltalamacchia, Jason Garcia, Jayson Hernandez, Jeremy Hazelbaker, Jeremy Kehrt, Jerry Royster, Jesus Loya, joel hanrahan, john farrell, john lackey, John W. Henry, jon lester, Jonathan Diaz, Jonathan Hee, jonny gomes, Jordan Weems, jose de la torre, Jose Garcia, Jose Iglesias, Jose Vinicio, Juan Carlos Linares, juan nieves, junichi tazawa, Justin Haley, Justin Henry, Keith Couch, Kendrick Perkins, Keury De La Cruz, Kevin Boles, Kevin Walker, koji uehara, Kolbrin Vitek, Kyle Kraus, Kyle Stroup, Leonel Escobar, lhp Blake Swihart, lhp Reymond Fuentes, lhp Stolmy Pimentel, Lou Schwechheimer, Lowell Spinners, Lowell Spinners PITCHERS, Lowell Spinners POSITION PLAYERS, Madison Younginer, Marco Duarte, mark hamilton, matt barnes, Matt Spring, Matthew Gedman, Matthew Marquis, Matthew Price, Matty Johnson, Matty Ott, Michael Alamanzar, Michael McCarthy, Miguel Celestino, Miguel Pena, Mike Augliera, mike carp, Mike deMaine, Mike Miller, mike napoli, Mike Tamburro, Mookie Betts, Nathan Striz, Nefi Ogando, Nelson Paulino, Nick Moore, Nick Natoli, Noah Hall, Noe Ramirez, of 2011 Baseball America's Top Ten Prospects, of Anthony Rizzo, of Brandon Jacobs, of Casey Kelly, of Felix Doubront, of Garin Cecchini, of Jose Iglesias, of Josh Reddick, of Junichi Tazawa, of Lars Anderson, of Matt Barnes, Oscar Perez, Oscar Villarreal, Pat Light, Paul Abbott, Pawtucket Red Sox, Pawtucket Red Sox PITCHERS, Pawtucket Red Sox POSITION PLAYERS, pedro beato, Pete Ruiz, Peter Hissey, Portland Sea Dogs, Portland Sea Dogs PITCHERS, Portland Sea Dogs POSITION PLAYERS, Raynel Velette, rhp Allen Webster, rhp Bryce Brentz, rhp Drake Britton, rhp Garin Cecchini, rhp Henry Owens, rhp Jose Iglesias, rhp Josh Reddick, rhp Reymond Fuentes, rhp Ryan Lavarnway, Rich Gedman, Rich Sauveur, Robby Scott, Roberto Reyes, Ronald Bermudez, rubby de la rosa, ryan dempster, Ryan Dent, ryan kalish, ryan lavarnway, Ryan Rowland-Smith, Ryan Westmoreland, salem red sox, Salem Red Sox PITCHERS, Salem Red Sox POSITION PLAYERS, sean coyle, Seth Schwindenhammer, shane victorino, Shannon Wilkerson, ss, ss 2012 Baseball America's Top Ten Prospects, ss Anthony Rizzo, ss Blake Swihart, ss Deven Marrero, ss Jackie Bradley, stephen drew, steven wright, Terry Doyle, Tim Bogar, Tim Roberson, Todd Stephenson, Tony Thomas, Torey Lovullo, Travis Shaw, U L Washington, Walter Miranda, will middlebrooks, William Cuevas, William Latimer, Williams Jerez, xander bogaerts, Yunior Ortega, Zach Kapstein, Zachary Good. Bookmark the permalink. Leave a comment.